First Krav Maga seminar in Durban, South Africa, everyone has a right to defend themselves. There is a saying in Israel that you can share your fire, light a flame for someone else, without losing your own fire. It costs you nothing. Your own fire and flame are not diminished by giving to others. It is not a zero sum game. Thus the only reason not to share your fire is pure selfishness and pettiness. They say the same is true with a smile. Share your smile, it will not cost you anything but a moment of your time to smile at another person and you can light up their day. You can turn their entire miserable day around with a single smile. I know, it has happened to me many times. With martial arts the same is true. The only difference is that it does take some of your time. And yet many professional martial arts teachers still hold on to the zero sum game, they fear that by sharing and spreading knowledge they will be diminished, so they hold back. I have heard that this is common among Asian martial arts, but I do not know to what extent. I have read stories how great instructors would only teach certain advanced techniques to a few select students or family members while the vast majority of students would be receiving inferior training. This is certainly true in American commercial martial arts and Krav Maga schools where one had to sign long term contracts or only learn certain techniques after a certain period of time. 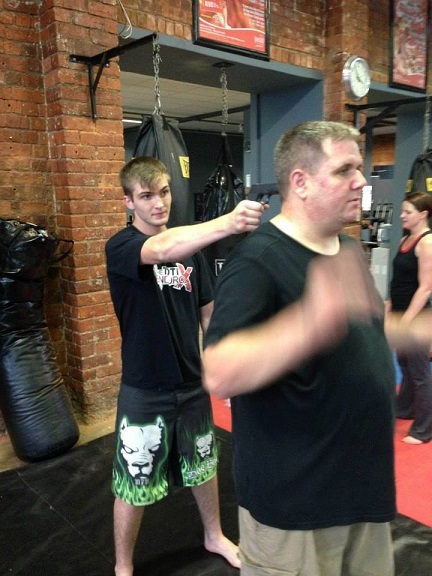 I was shocked when foreign Krav Maga students came here and knew so little. I would ask, "How long have you been training? "Can I see your gun disarms?" "Oh, no, we have not learn that yet. That only comes at level P23f.2"
Odd. Making money and stringing people along comes before actually caring about their lives. Personally I think such schools should be forced to close down. Sadly there is no supervision in this business. And for most it is only a business. Martial arts and Krav Maga training also differ from a flame, a fire and a smile in another way. Not only are we not diminished by giving but we are enhanced. We grow by giving, we improve by teaching, we expand by sharing. And we must. We must teach, we must educate, because violence is only increasing. We are part of the solution, we must act that part.